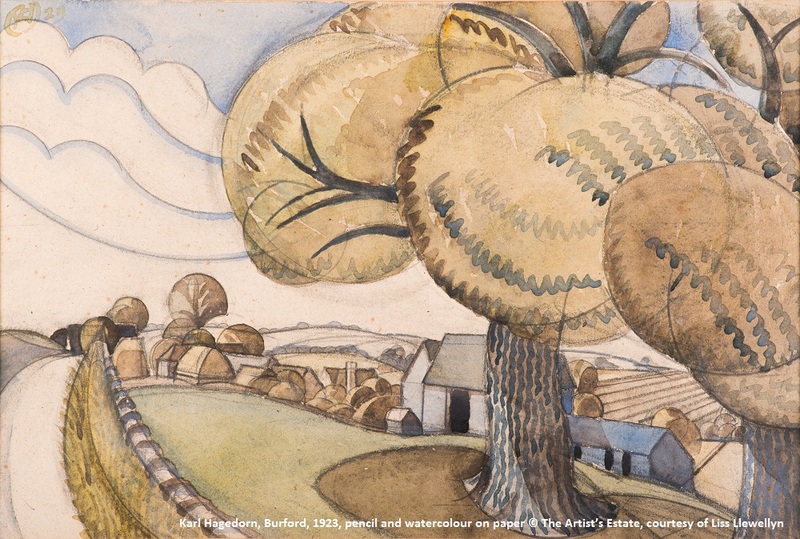 The paintings of German immigrant Karl Hagedorn (1889 – 1969) are some of the earliest and boldest examples of post-impressionist work produced in Britain. Hagedorn’s early works baffled art critics of the time with their strange colours and sharp angles. He believed that art did not need to represent its subject in a conventional manner now that photography could fulfill that purpose. His paintings (which he called ‘rhythmical expressions in line and colour’) were heavily influenced by other European artists such as Pablo Picasso, Gino Severini and Henri Matisse. Created in partnership with Liss Llewellyn Fine Art, this is the first exhibition of Hagedorn’s work in nearly 25 years. Find out more about Karl Hagedorn and his work in our accompanying exhibition catalogue.